Black Love is back. This week, OWN announced season two of the TV show will premiere in May. The docu-series “highlights love stories from the Black community.” Season two’s guests include Sterling K. Brown and Ryan Michelle Bathe, Niecy Nash and Jay Tucker, Tina Knowles-Lawson and Richard Lawson, and Rev Run alongside wife Justine Simmons. 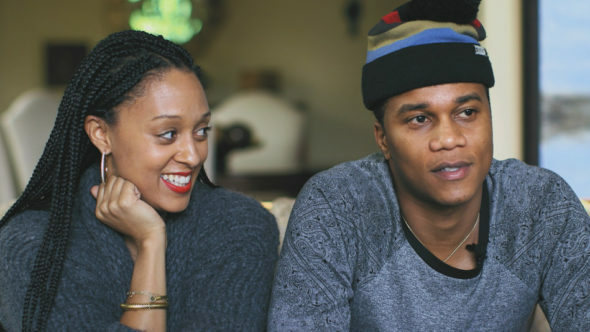 Season two of Black Love premieres on OWN on May 12th at 10 p.m. ET/PT. LOS ANGELES – OWN: Oprah Winfrey Network announced today the second season premiere of its hit docu-series “Black Love” on Saturday, May 12 at 10 p.m. ET/PT. The series which highlights love stories from the Black community debuted last fall with 1.2 million total viewers, becoming OWN’s most-watched unscripted series debut in network history and its highest-rated unscripted series debut in more than four years in the network’s key W25-54 demo. This second season will feature Emmy Award-winning actor Sterling K. Brown and wife Ryan Michelle Bathe, Emmy Award-winning actress Niecy Nash and husband Jay Tucker, Tina Knowles-Lawson and husband Richard Lawson, NBA All-Star Grant Hill and Grammy-nominated recording artist ?Tamia, RUN DMC’s Rev Run and wife Justine Simmons, Grammy Award-winning gospel recording artist ?Kirk Franklin and wife Tammy, comedian D.L. Hughley and wife LaDonna, former NFL-running back Eddie George and wife Taj of SWV, Hip-Hop artist Styles P and wife Adjua, Actors Alano Miller and Dewanda Wise, NFL Linebacker Bart Scott and wife Starr, and more. The couples talk about how their relationships began, the road to the altar, life after children and all of the other obstacles they may have faced to make their marriages stronger than ever. “Black Love,” from filmmakers Codie Elaine Oliver and Tommy Oliver (“?The Perfect Guy”) and Confluential Films, seeks to answer the burning question, “What does it take to make a marriage work?” “Black Love” dives into how love begins while showing the reality of what life-long love looks like and offers proof that while it can happen for everyone, it isn’t a cakewalk. The docu-series shares honest, emotional and sometimes cringe-worthy always-true love stories. What do you think? Have you seen Black Love? Will you watch season two? More about: Black Love, Black Love: canceled or renewed?, OWN TV shows: canceled or renewed?